San Diego’s beachfront property is prime living, and it’s hard to beat enjoying the fresh air and falling asleep to the sound of waves. But despite all the perks of oceanside living, there can be a dark side: salty, coastal air is harsh on your things. You may find yourself lamenting the rust on your patio table or the extra mildew in your bathroom, and wonder if you can live by the ocean and retain the luster of your home. You can manage both, for the most part. It takes more time and effort, but practicing some preventative care and keeping up a schedule of regular maintenance will pay off when your stuff doesn’t have to be replaced every couple of years because the ocean air destroyed the finish of your patio furniture, window frames, etc. Because salt buildup is so corrosive to metal components, it’s advisable to use fiberglass framed doors and windows and avoid metal parts as much as you can. Vinyl and aluminum can also be used for window frames, but these materials aren’t as anti-corrosive as fiberglass. Hot-dipped metal galvanized or stainless steel fasteners are the best parts to use when you have to use metal. If you find yourself needing to replace the rollers under sliding glass doors, stainless steel is a good choice, even if it’s not completely impervious to rust. Considering your other options, it’s one of the best. To “unstick” salt particles that accumulate on your windows, clean them often and use fresh water to rinse. In fact, cleaning all the exterior surfaces of your home frequently can loosen the salty residue that collects and eats away at the surfaces. Just remember that the longer something remains damp, the higher the corrosion. For metal window fasteners, hinges, and other metal hardware, apply some WD-40 or silicone spray to slow corrosion and pitting. Salt neutralizers may also help protect metal parts. Mold loves damp coastal spots and can grow on just about anything – wood, carpet, ceilings, you name it. To prevent mold, be sure you inspect all areas of your home where water spray may leak inside. Then, stop the leak, promote air circulation in your home with fans or fresh air, clean and dry the carpets and other fabric surfaces, and vacuum. If you find mold or mildew is shower corners, scrub the surface with some mild detergent, dry, and then apply a mixture of 1/4 cup bleach to one quart of water. Overall, use anti-fungal cleaners regularly, inspect and repair bathroom caulking, and squeegee shower doors after use. For kitchens, you might want to apply a protective wax to metal-front appliances to repel water and rust damage. If you want to go beyond simple maintenance, try using dehumidifiers and/or have more vents installed. Some homeowners even install vents in their closets, which are traditionally limited in ventilation. 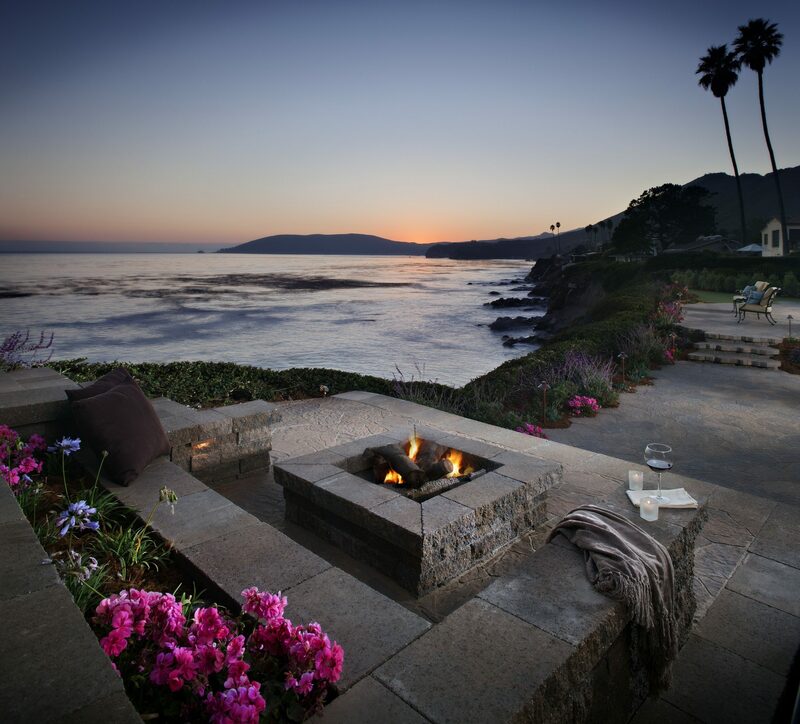 Patio furniture tends to take the most severe beating from the ocean air and omni-present moisture. One of the best ways to protect your furniture is to cover it when not in use and overnight. Also be sure to remove salt buildup by rinsing your furniture often (weekly is recommended) and drying it with a soft cloth. Harsh cleaners should be avoided at all costs, but a gentle wash, with something like dishwashing soap, can be applied. Further protection can be effected by applying a coat of car wax or other polishing compound every couple of months. If you have powder-coated metal furniture and the coating has chipped or eroded to the bare metal, treat it immediately or rust will take hold. Apply rubbing alcohol to the area, sand it lightly and then use some touch-up paint from the manufacturer to cover the spot. Speaking of metal, you may want to consider other materials for your patio furniture. 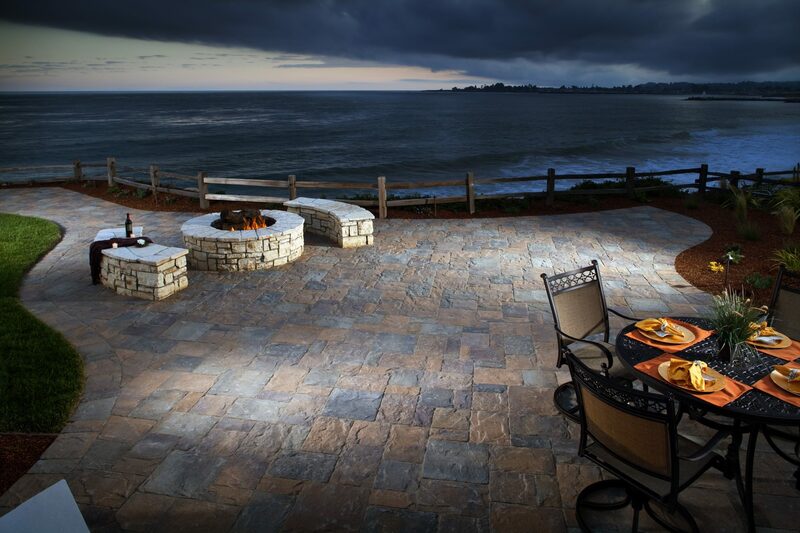 But if you’re going with metal, cast aluminum furniture tends to do the best in an oceanfront environment. Outdoor Wicker: Rattan, bamboo and other materials don’t fare so well when exposed to the elements. Unless this type of furniture is in an enclosed area, it’s best to forgo wicker in a seafront setting. 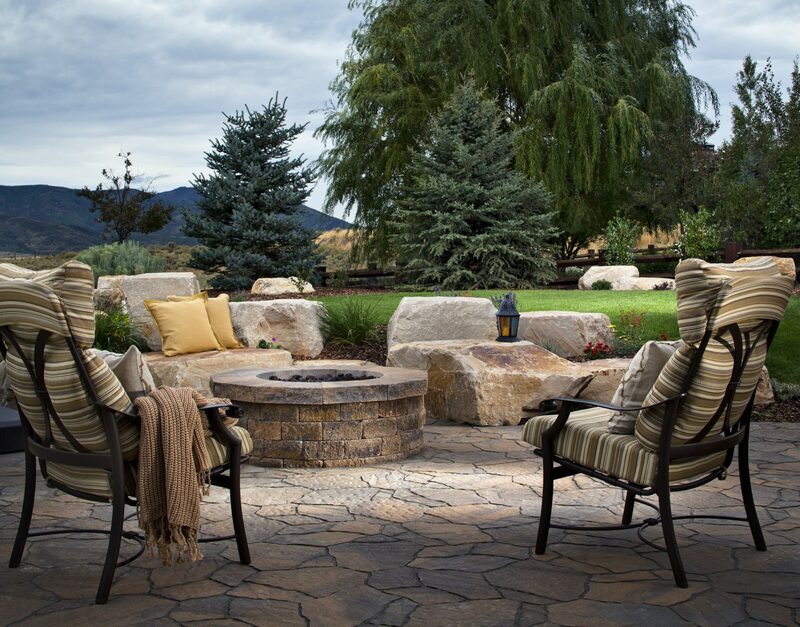 If you do use it, choose weather-resistant wicker, and hose it off often. Clean it with a mild soapy solution and apply paste wax to beef up the weather-resistant treatment. Teak: Teak is an ultra durable wood that will weather to a silvery gray if you don’t treat it. If you like that look, go for it. But if you want to retain the reddish-brown original color, the furniture will need to be treated with a special oil and stain often. Otherwise, wash teak with soapy water (a 50-50 mixture of dish or laundry detergent and water) and a soft bristle brush (don’t use steel wool!) and rinse after several minutes. Apply paint, sealant or other finishes to repel water infiltration. When you’re shopping for teak, look for premium-grade teak that has been kiln-dried. Wrought Iron: Iron is going to rust, no doubt about it. However if you do buy it, buy powder-coated iron and treat all bare spots as they happen with the rubbing alcohol/re-paint method recommended above. For cleaning, hose the furniture down and use mild liquid soap on a sponge to scrub away dirt. Use a soft brush with a handle to get inside crevices. Rinse off the soap and dry the furniture thoroughly. Spray wax can be applied for extra protection. 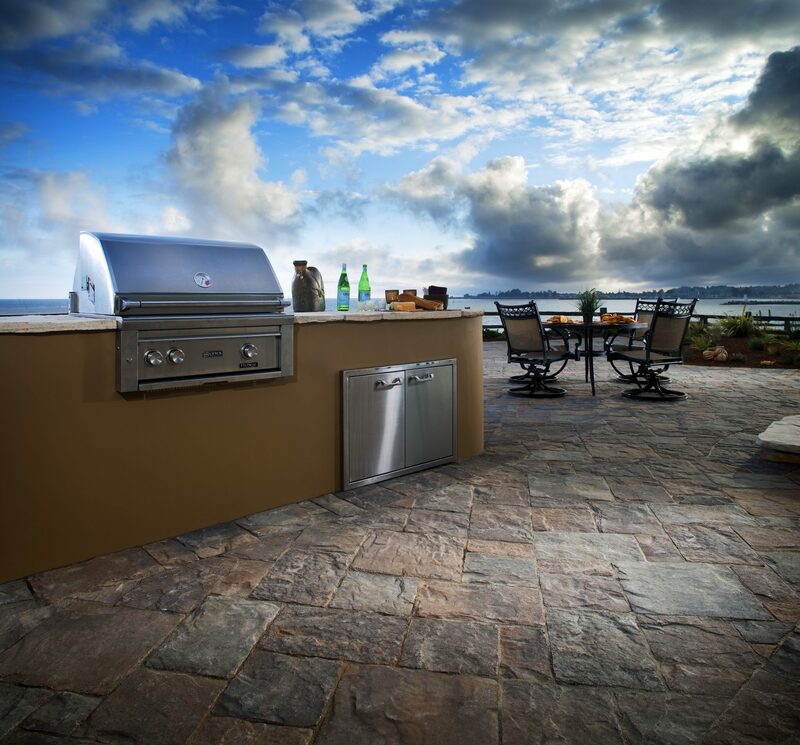 The best quality wrought iron patio furniture is galvanized, but again – expect wrought iron to not last as long as other materials if you’re using it near the ocean. Cast Aluminum: Usually rust- and fade-free, this material is an excellent outdoor furniture choice for beachfront properties. You’ll still need to hose your pieces off and vacuum debris from them so it doesn’t accumulate, but the maintenance for cast aluminum is by far the less intense. Clean this furniture with soapy water and rinse and dry completely. As mentioned previously, apply a coat of car wax to resist water damage. Fabric: The cushions and pillows you use to accent your furniture should be polyester, vinyl or acrylic (100% acrylic is the best choice among all three) so they dry quickly and resist mildew. Store your fabric pieces inside as much as possible, because even the most sturdy will eventually break down in the elements. The salt air does its number on everything from electrical components, to cars and other vehicles, to metal utility casings. Protection is always key – so if you can, store your cars in a closed garage, apply some WD-40 to fuze box and other outdoor metal exteriors, and rinse salt off everything often (dry the surfaces, too, because moisture promotes rust and mildew). Keep in mind that treated lumber, stainless steel, galvanized fasteners, stucco siding and vinyl high-impact glass windows are lower maintenance and most suitable for oceanfront homes because they’re most resistant to rot, mildew, and the other effects of ocean living. Of course, always be sure to thoroughly inspect for your entire home to catch problems before they become major repair expenses. Do you live on or near the beach? What maintenance tips have worked for you?